John Patrick Swann. 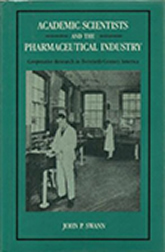 Academic Scientists and the Pharmaceutical Industry: Cooperative Research in Twentieth-Century America. Johns Hopkins University Press, 1988.